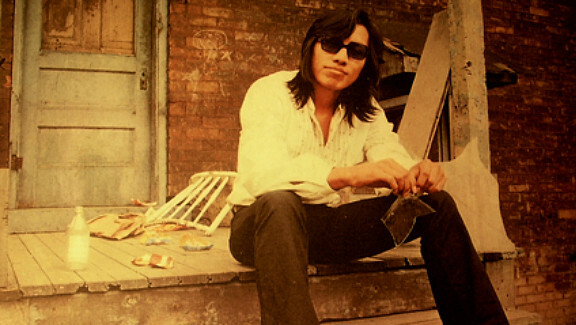 Sixto Rodriguez, a.k.a. Rodriguez, a.k.a. Jesus Rodriguez was considered the Bob Dylan of inner city soul. His voice even had a vaguely similar nasal quality, but was much richer and sonorous. Despite positive reviews for two albums, Rodriguez quietly slipped into obscurity in America. Yet, unbeknownst to him, his music would be embraced by a generation of anti-Apartheid Afrikaners. Two South African music lovers’ dogged investigation into Rodriguez’s fate is documented in Malik Bendjelloul’s Searching for Sugar Man, which screens during the 2012 Sundance Film Festival. Though he never sold in America, it seems the visiting daughter of naturalized South African Americans brought a copy of his debut album Cold Fact with her and it just caught on, or so the legend goes. First bootleg copies circulated, but eventually legitimate South African labels started licensing it from future Motown honcho Clarence Avant’s Sussex Records. The money part of the story remains hazy (Bendjelloul lets Avant off rather easy in their on-camera interview), but none of it ever made its way to Rodriguez. With no biographical information on his record sleeves, Rodriguez became a man of mystery to his hundreds of thousands of South African fans. Wild legends sprang up regarding his spectacular demise. However, the truth is worth staying for. Sugar is a really well put together documentary. Camilla Skagerstrom’s cinematography vividly conveys the spirit of Rodriguez’s native Detroit and the Cape Town of his number one fan, as do the seamlessly integrated animated passages. 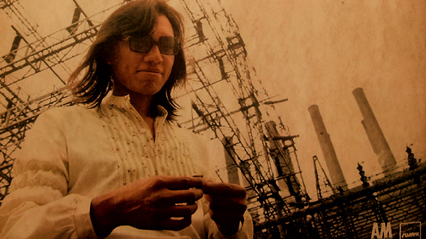 Nonetheless, it is Rodriguez’s songs that truly give the film such a distinctive character. Extremely soulful and lushly orchestrated (nobody can fault Sussex for their production quality), they speak for themselves. While the collector’s label Light in the Attic has reissued Rodriguez’s catalog, he remains far from a household name in America. Still, Bendjelloul’s documentary could possibly deliver scores of new fans. Wisely, he includes extensive selections from Rodriguez’s body of work, which are well served by the film’s excellent sound quality. Despite the singer’s politically charged lyrics, Bendjelloul also shrewdly avoids ideological partisanship. As a result, Sugar is a very accessible and satisfying film. Highly recommended (especially for Soul listeners), it screens in Park City today (1/20), Wednesday (1/25), and Friday (1/27), as well as this Sunday (1/22) in Ogden.